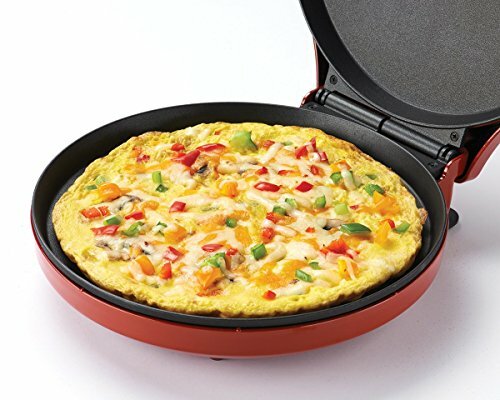 Betty Crocker Pizza Maker Deal on Amazon (Price Drop)! Home Online Deals Book & Magazine Online Deals Betty Crocker Pizza Maker – Price DROP! Betty Crocker Pizza Maker – Price DROP! Get the Betty Crocker Pizza Maker, Red from Amazon! Use this for Pizza, Quesadillas, Nachos, Mini Frittatas, Quiches, Croissants, Giant Cookies, Hors D’oeuvres & More! Check out all of the recent Amazon deals here! For fast, delicious pizza, this pizza maker is a great choice. It’s not just for pizza, though – make quesadillas, nachos, mini frittatas, quiche, croissants, giant cookies, hors d’oeuvres and more. The nonstick coated baking plate bakes the crust to perfection and makes cleanup easy. Don’t worry about turning on an oven next time you want pizza. Just reach for this pizza maker. Buy the Betty Crocker BC-2958CR Pizza Maker, Red from Amazon.As always, Amazon Prices can change quickly. If the price is up, the deal is simply over! Be sure to join our Hot Holiday Deals Facebook group and our Daily Email Newsletter so you never miss out on the best daily deals.